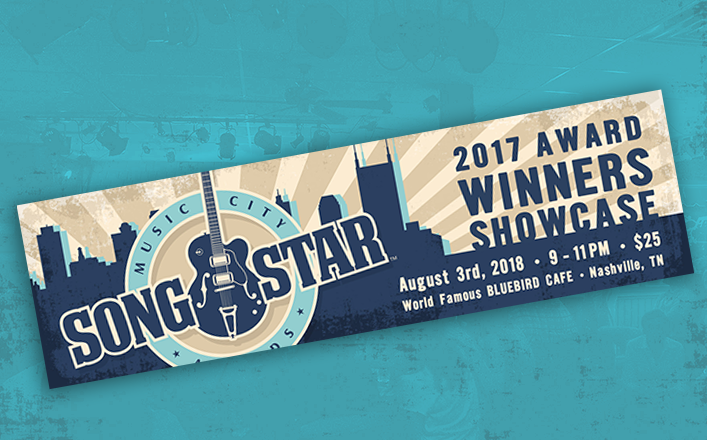 Join us for an evening full of songs and stories as Foxhedge Music presents the Music City SongStar Awards, Friday, August 3 at the Bluebird Cafe in Nashville, Tennessee. In addition, recording artist Jackson Wells and songwriter Kathy Ashworth will perform. Music City SongStar is proud to be making a contribution to the Center for Child Development at Monroe Carell Jr. Children’s Hospital at Vanderbilt.